Life continuously offers us opportunities to change and move forward in your growth and development. This may mean that you need let go of the past and embrace your present situation. It may mean that you need to view an old problem from a new perspective in order to find a solution. Or, it could mean that you need to attempt something difficult or different, something that pushes you past your fear and far beyond your comfort-zone. Regardless of what the change may be that needs to take place in your life, the truth, is that each of us navigates change in a different manner. F-ear it – You can run, you can hide, you can pretend like it isn’t really happening and therefore you don’t have to change. A-ccept it – You can agree that it’s there and that maybe, possibly, someday, you might have to adapt … or not … least not right this moment or for the foreseeable future! C-hallenge it – You can confront it, fight it, and attempt to convince yourself and everybody else around you (mostly yourself), why it doesn’t really apply to you, or why you can’t, won’t, or don’t need to change. E-mbrace it – You can wrap your arms around it and look for the hidden gifts that this new opportunity might bring you. Sometimes the gifts are not quite so evident at first glance. That said, if you look for gifts you will find them. If you look for excuses you will find those too! So how do you respond to opportunities to change? 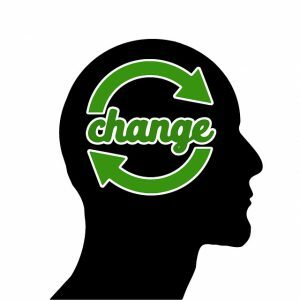 Do you find yourself consistently reacting to change in one of these four ways? Do you find yourself clinging to the past, hoping and praying that nothing will change? Or do you consistently lean into the change so far that you can’t step back? What would you do if you weren’t afraid? If you could not fail? What if you believed that you were so powerful that you could change your life starting this very minute! What if you made a decision to not just F.A.C.E. ™ change but actually embraced it this next year? What would you start? Stop? Change? Do? 2018 could be just like 2017 because you decided to continue going through the motions while clinging to the past and praying that nothing changes? 2018 could be the most significant year you have ever experienced. It could be your best year ever because you broke through your comfort zone and achieved the success, love, purpose, you deserve! Just remember, it all begins with you and the choices you make. Most importantly, how you F.A.C.E. change. PreviousPrevious post:10 Signs Your Work Life Balance Isn’t BalancedNextNext post:Arrogance … Death of a Leader!